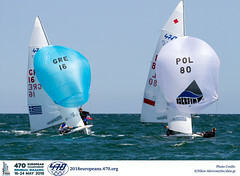 The ISAF Sailing World Cup is a world-class annual series for Olympic sailing. It is open to the sailing events chosen for the 2016 Olympic and Paralympic Sailing Competitions. 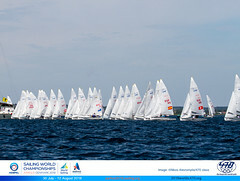 Like Hyères, ISAF Sailing World Cup Weymouth and Portland will have a quota of 40 boats so qualification is essential. The top 30 ranked sailors in the ISAF World Sailing Rankings on 27 April 2015 will be invited. The next ten places plus any declined invitations will be allocated at the ISAF Sailing World Cup Qualification Regatta, for Weymouth and Portland this is the Delta Lloyd Regatta. Racing will be conducted over five days with the fifth day of racing deciding who will take home the medals in a spectacular Medal Race day format for all classes. Melbourne, Australia opened the 2015 ISAF Sailing World Cup journey mid December 2014. Miami, Florida, USA hosted the next stop on the circuit in January 2015 before a double European stopover. 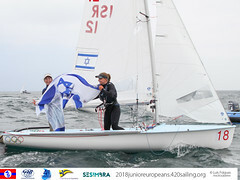 Sailors will head to Hyères, France in April before returning to the London 2012 Olympic Sailing Competition venue of Weymouth and Portland, Great Britain in June. The final stopover on the 2015 circuit will be Qingdao, China in September before the top sailors head to Abu Dhabi for the Final.